Hi guys! 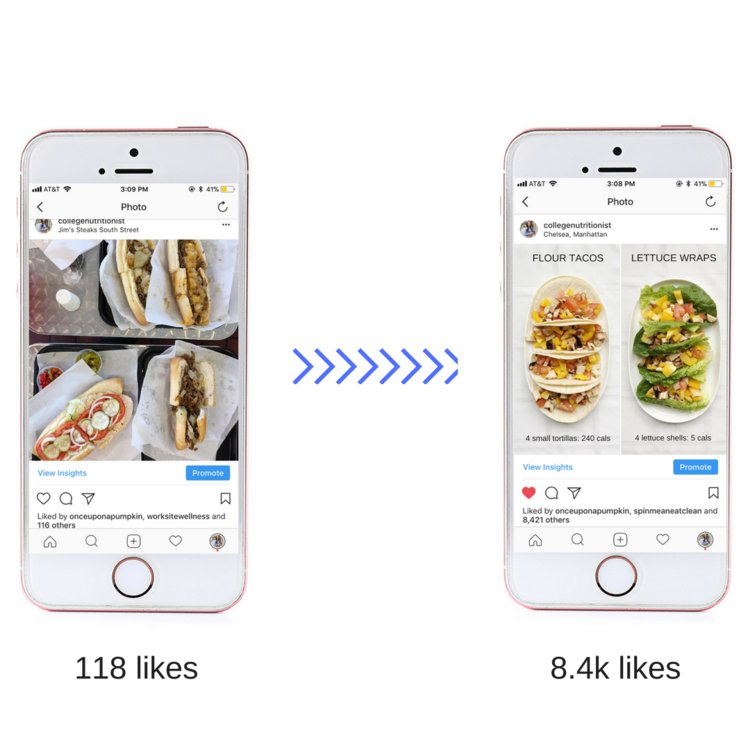 A little off topic from my usual foods posts... but I've been getting a lot of questions recently about how I've been able to grow my Instagram account. My good friend Libby Rothschild and I have created a course called "Beat the Algorithm" where we're engaging with you in small groups called "Masterminds" to help you personally and individually create your own brands and grow your accounts. Here's a little background about my story. 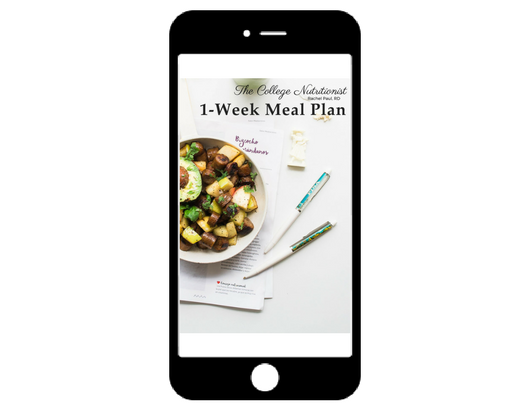 I started The College Nutritionist right after I graduated from my Master's at Case Western Reserve University because I felt there was no nutrition guidance for me. There was a lot of nutrition education out there- for people with diabetes, heart disease, etc. but really nothing for my age group. And I was SO confused with what to eat to help me get to my ideal weight when I was in college (even though I STUDIED nutrition!). The first year or so of The College Nutritionist was great. 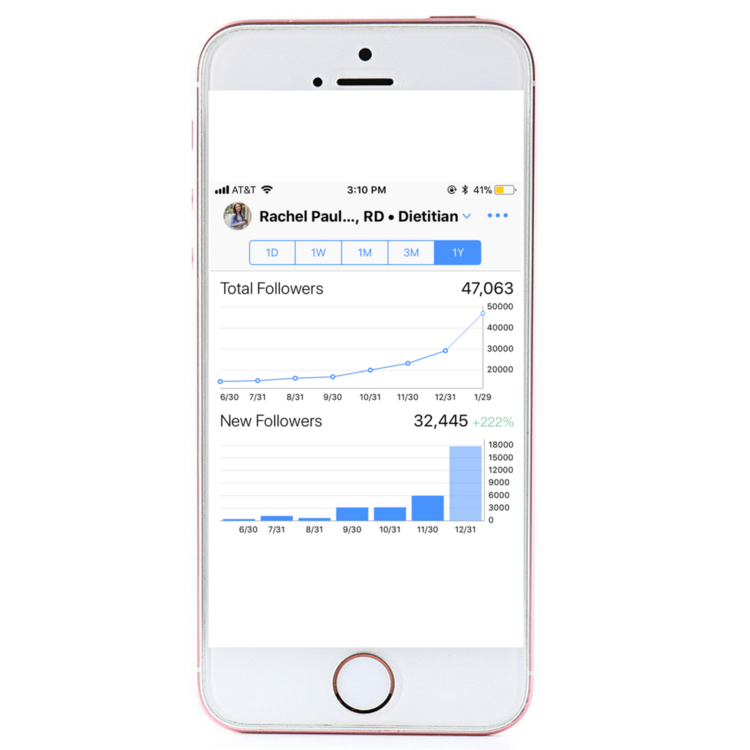 It was pretty easy to grow on Instagram back then, so it was a really positive experience. Then school got to be pretty time consuming (I'm finishing my PhD this semester - May 2018! ), and I took about a 2 year break. In that time, Instagram changed dramatically. It's much much harder to grow and engage. I tried to get back into it, but I didn't even know where to start. I even talked to some of my friends about selling my account - I was just OVER it. But then in April of 2017 I thought, you know what, I'll give it one more shot. I love to be creative, and it's a nice outlet from my scientific daily work. The results at first were pretty devastating. I was still taking decent-enough looking photos, but was getting pretty much ZILCH engagement! I was (honestly) mortified, pretty upset. But I kept at it, talked to my followers to see what they really wanted, and slowly but surely started to grow again - and now the growth is FAST and my engagement is consistently high (well, knock on wood haha) - but I AM confident that I will continue to create and grow with the simple steps Libby and I have put together. As you can see in the image below - with the steps we've taken, the growth is organic, natural, and QUICK!